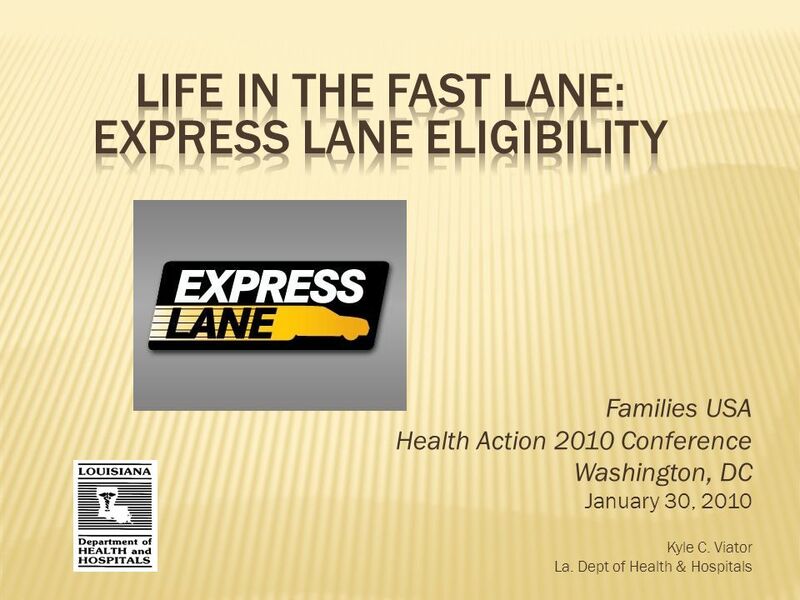 Families USA Health Action 2010 Conference Washington, DC January 30, 2010 Kyle C. Viator La. 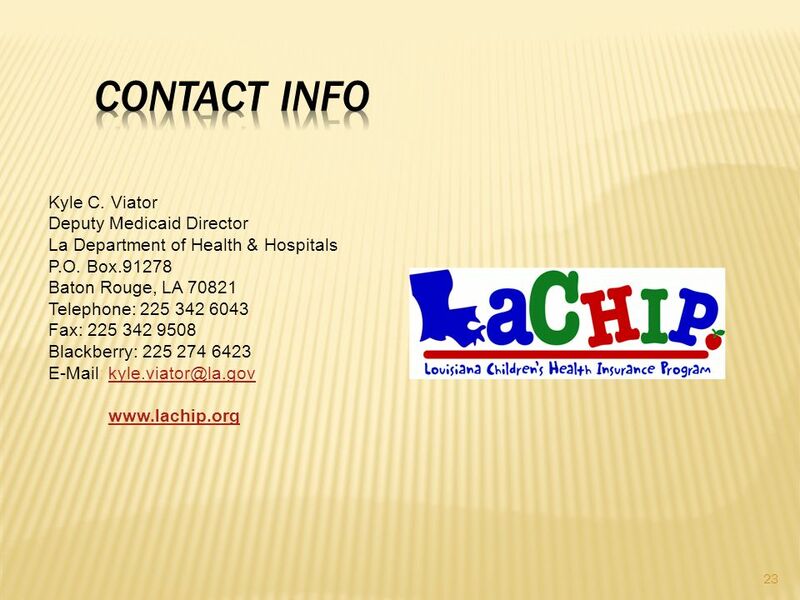 Dept of Health & Hospitals. 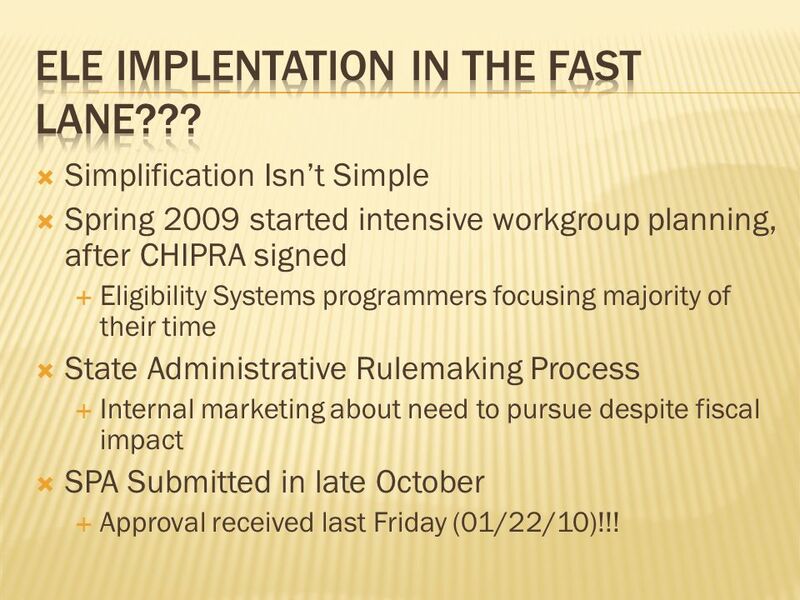 16 Simplification Isnt Simple Spring 2009 started intensive workgroup planning, after CHIPRA signed Eligibility Systems programmers focusing majority of their time State Administrative Rulemaking Process Internal marketing about need to pursue despite fiscal impact SPA Submitted in late October Approval received last Friday (01/22/10)!!! 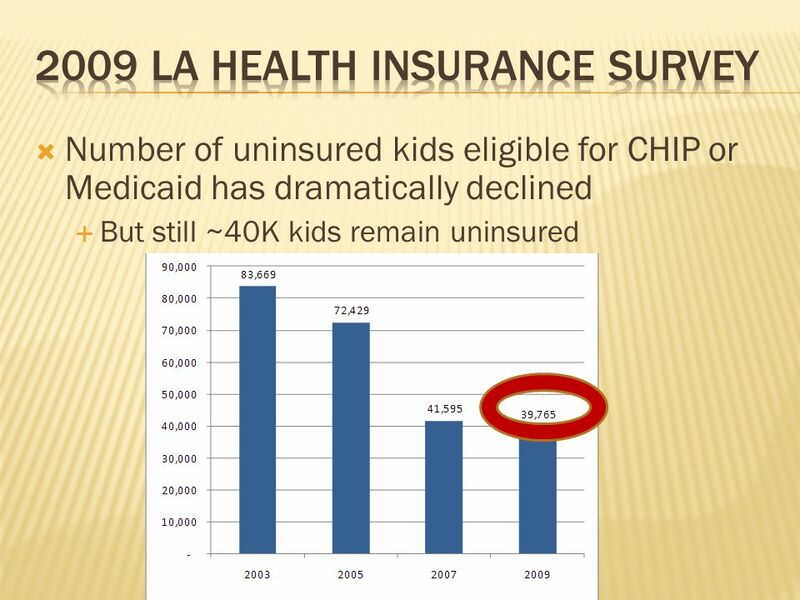 Download ppt "Families USA Health Action 2010 Conference Washington, DC January 30, 2010 Kyle C. Viator La. 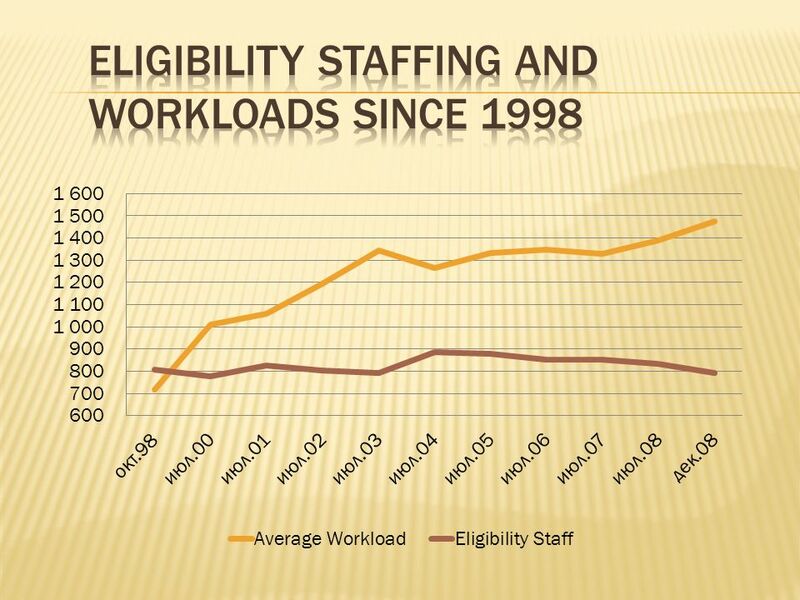 Dept of Health & Hospitals." 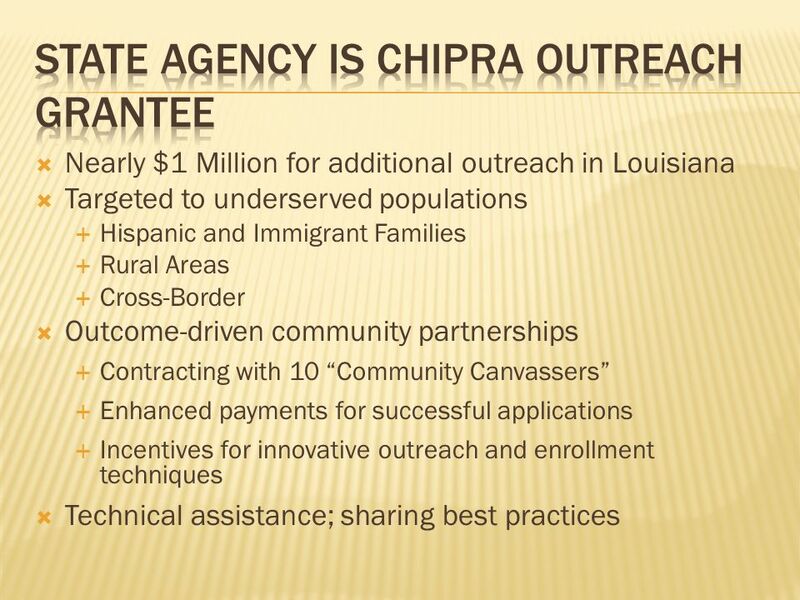 Making Public Programs Work for Communities of Color Talking Points for Community Leaders on Racial and Ethnic Health Disparities and Public Programs. 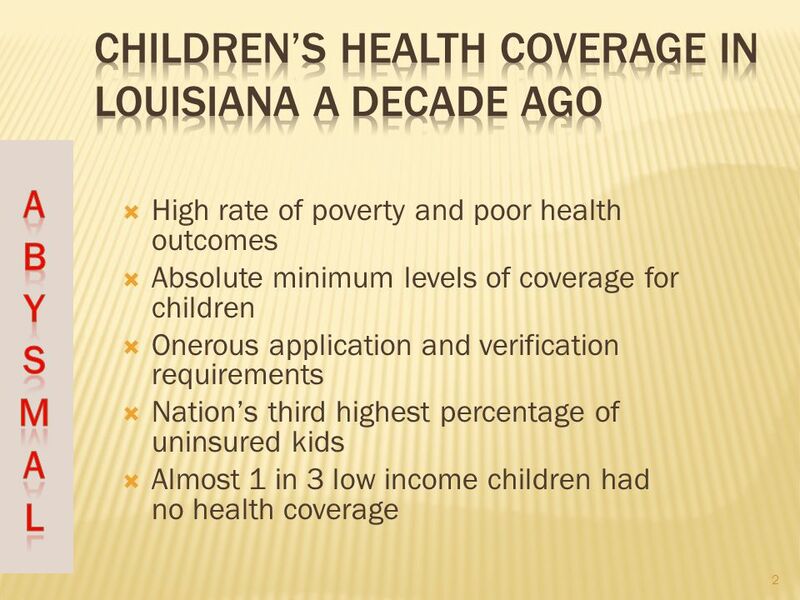 Genevieve Kenney, Senior Fellow Health Action 2010 Families USA January 28, 2010 /(202) Covering Children in. 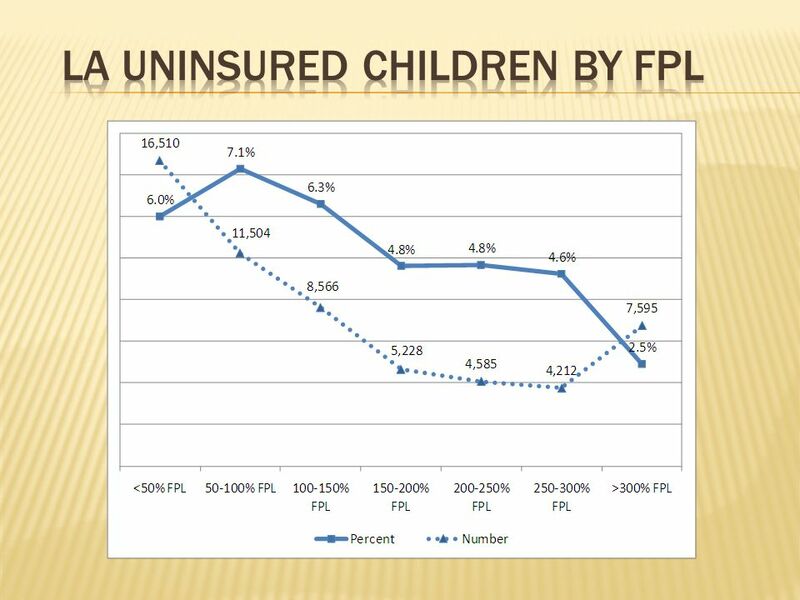 Serving Health Insurance with School Lunch: The CHILD Project Connecting Health Insurance to Lunch Data Families USA Annual Conference January 28, 2010. 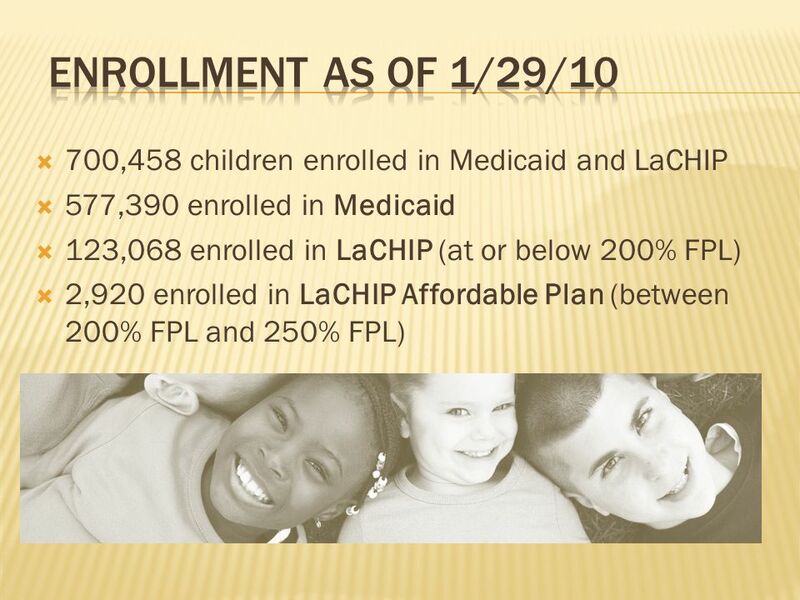 A school-based Childrens Health Insurance Program/Childrens Medicaid Outreach Model The 100% Campaign Health Action 2010 January 28, 2010. 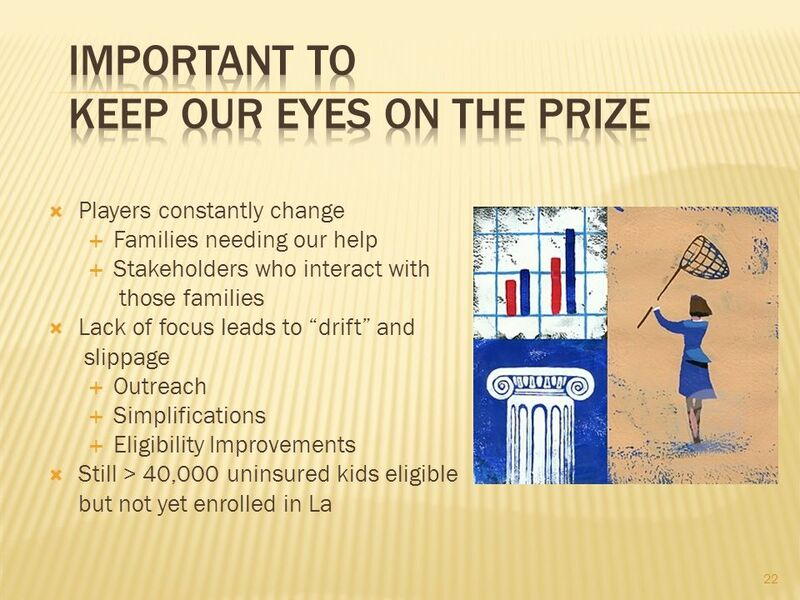 21 st -century enrollment and retention Families USA: Health Action 2010 January 28, 2010 Stan Dorn The Urban Institute. 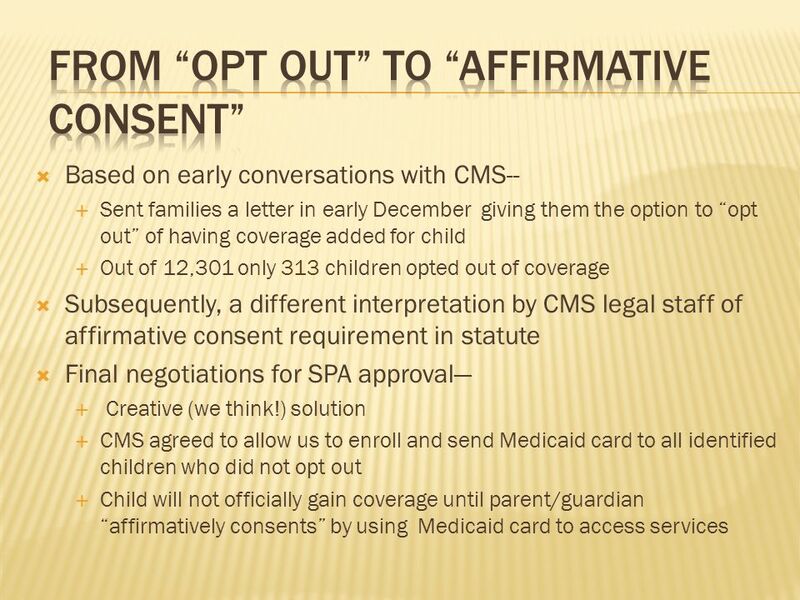 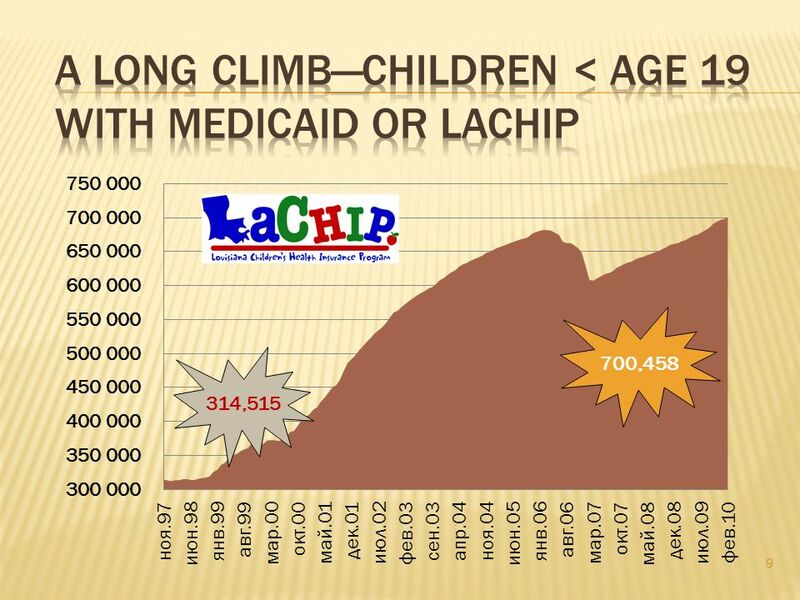 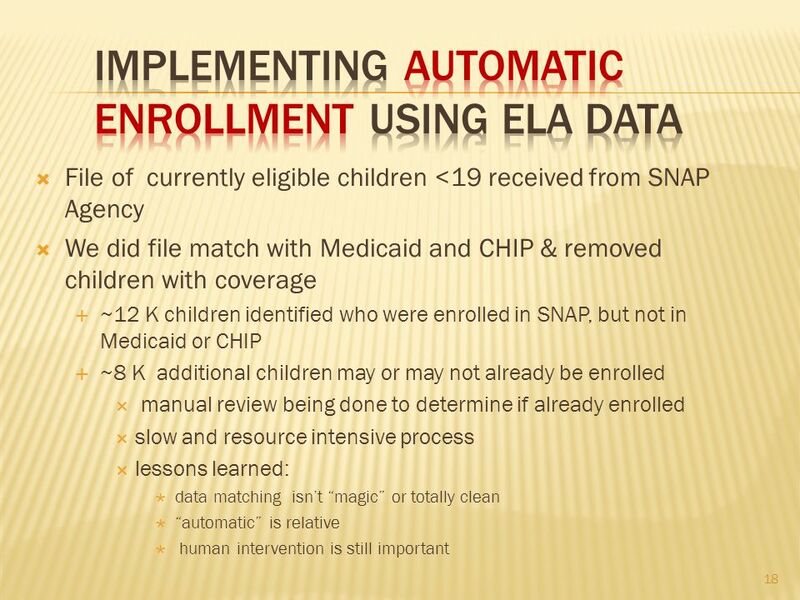 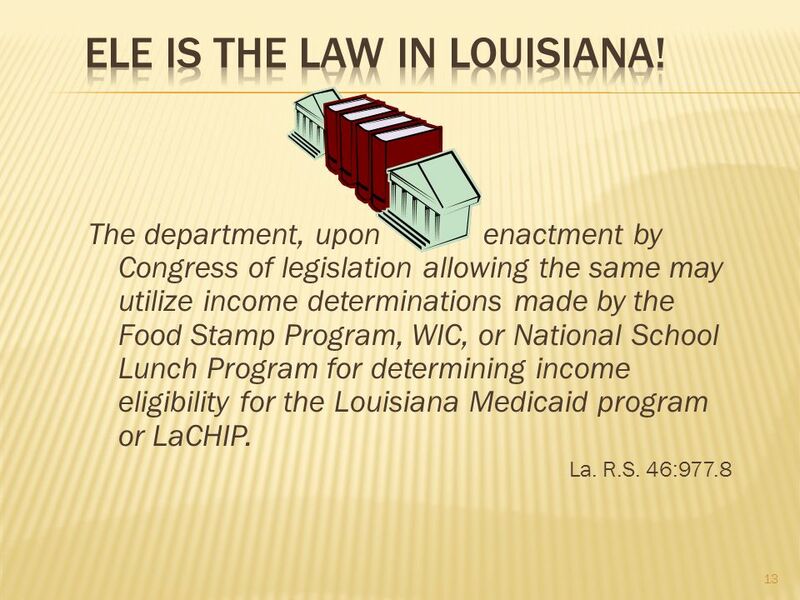 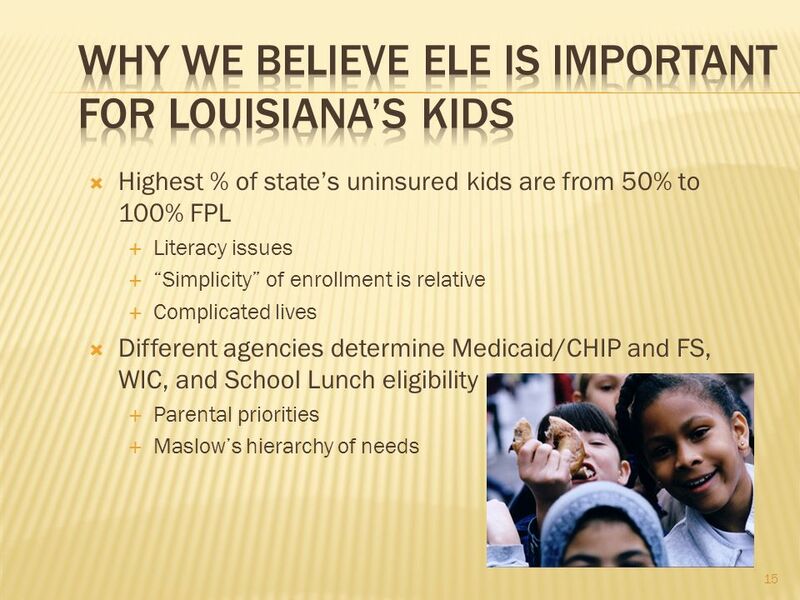 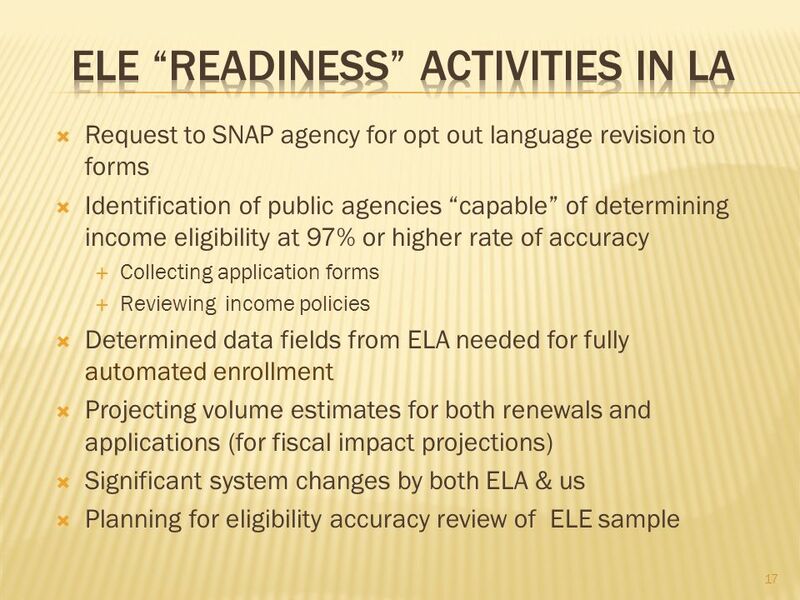 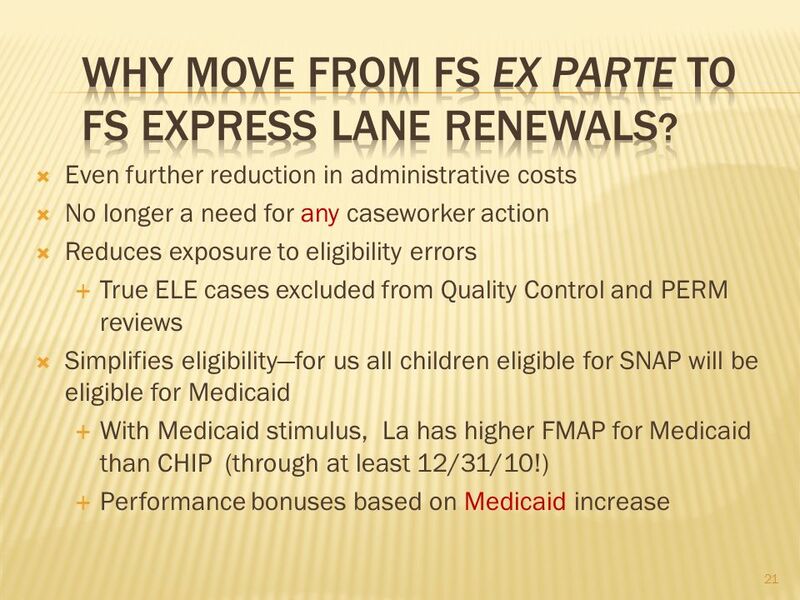 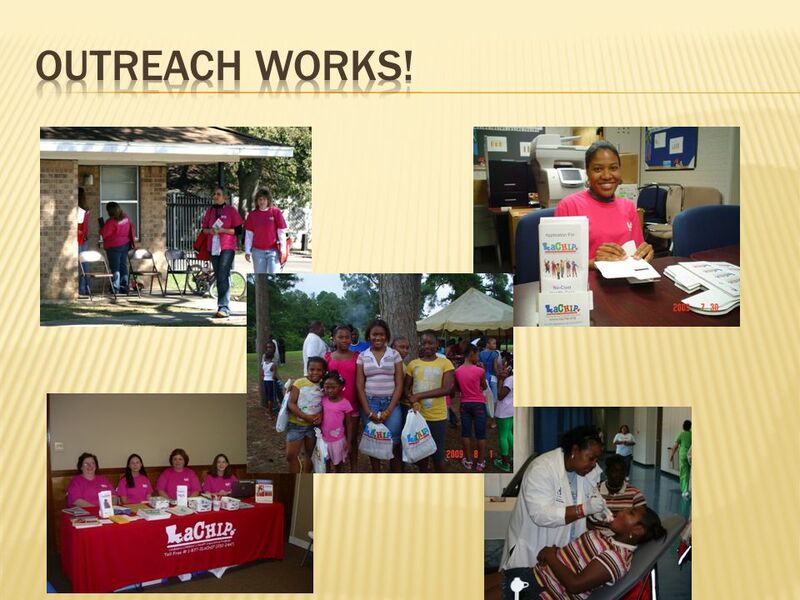 How We Transformed the Medicaid Eligibility Process in Louisiana (and Lived to Tell About It!) 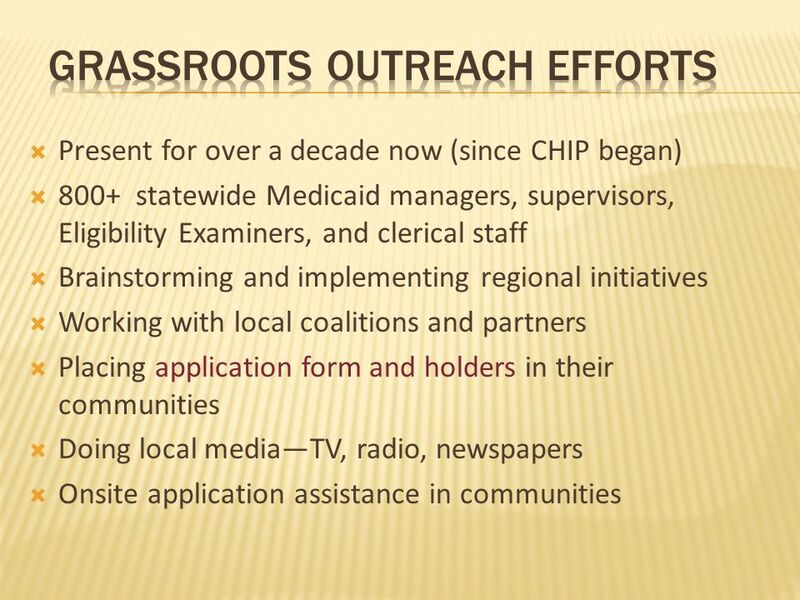 Churn in Public Programs Washington, DC May 20, 2011 Don. 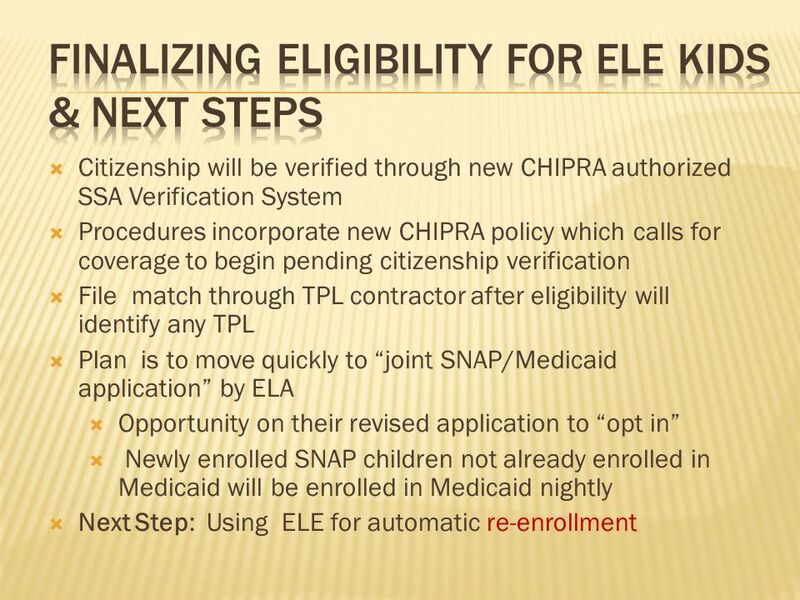 Getting the Most Bang from our Post-Health Reform Buck: Enrolling and Retaining Everyone Whos Eligible December 1, 2009 Alliance for Health Reform Briefing. 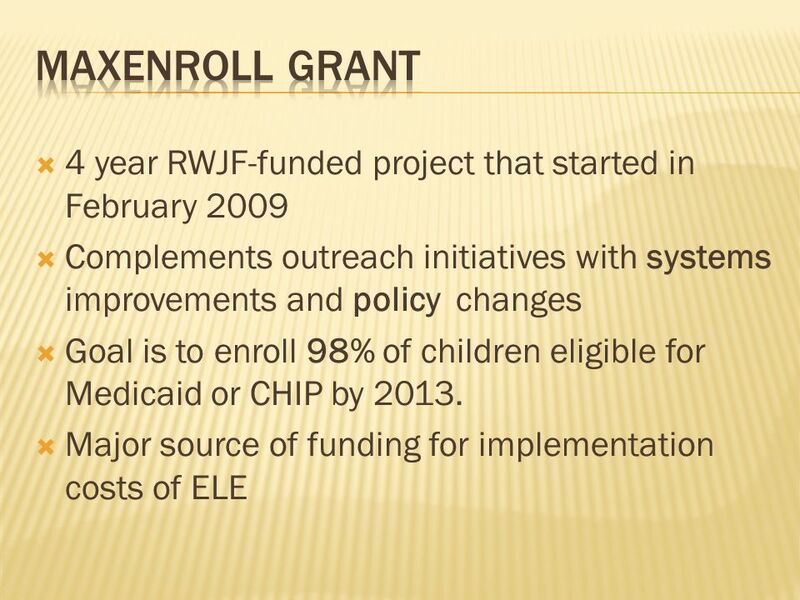 February 2, 2009 Childrens Health Coverage Terri Shaw Deputy Director The Childrens Partnership Briefing Co-Sponsored by Alliance for Health Reform & Kaiser.